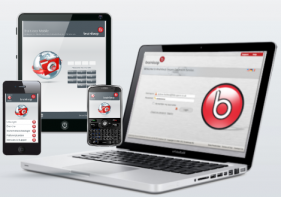 So you are looking for a secure and highly confidential online environment where you can share, save, amend and view all activity happening with your confidential documents? There are tonnes of cloud based virtual data rooms in existence at the moment. However only one that stands above the rest, that you can truly protect your documents and that gives you the flexibility to work anywhere, anytime on any device with anyone securely! DataSpace are proud to present to you Brainloop! With an ever increasing number of companies large and small storing highly confidential and private documents online, why is it so important to ensure you choose the right Data Room Solution for you?! Well…. here I shall be very geeky and refer you to the most recent Bond film ‘SkyFall’ (don’t worry I am not giving the storyline away.) ‘M’ makes a very emotional and passionate speechâ€¦ ‘Our enemies are no longer known to us. They do not exist on a map, they aren’t nations. They are individuals. And look around you – who do you fear? Can you see a face, a uniform, a flag? No, our world is not more transparent now, it’s more opaque! The shadows – that’s where we must do battle.’ So are you willing to let your enemies known or unknown to you access your confidential documents in ‘The Shadows’ of the internet? According to the 2013 Information Security Breaches Survey conducted by PWC, 93% of large organisations had a security breach last year. However larger organisations are not the only companies affected by Data Breaches… 87% of small businesses experienced a security breach during last year which has increased from previous years. With Data Breaches on the up make sure that you don’t lose business, incur fines or damage your business’s reputation because you didn’t invest in the Securest Virtual Data Environment available! Brainloop is able to ensure that you are in complete control of your confidential files at all time and gives you the complete transparency of seeing every single activity that goes on with your documents. 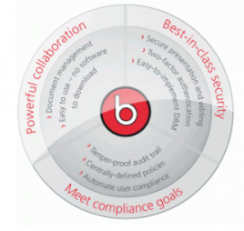 Brainloop protects your confidential files and automatically applies your companies securities policies, so you can continue concentrating on your business with confidence in your compliance.